Portugal have done their job this Sunday night in Lisbon, after beating Serbia 2-1 and grabbing the lead in the EURO 2016 Qualifiers' Group I. With Ronaldo playing the whole 90 minutes, it ended up being Ricardo Carvalho and Fábio Coentrão who scored the Portuguese goals that helped securing the 3 points. Mission accomplished at the Estádio da Luz this Sunday night, with Portugal prevailing against Serbia through a well deserved 2-1 scoreline. With the Portuguese coach Fernando Santos suspended and unable to be at the helm of operations for this game, the Selecção proved its superiority against a disappointing Serbian side that never really managed to threaten coming out of Lisbon with a different outcome in tonight's fixture. The 3 points were wrapped up thanks to a Ricardo Carvalho header around the 10th minute of the first half and then, later in the second half, with Fábio Coentrão scoring his first goal of 2015. 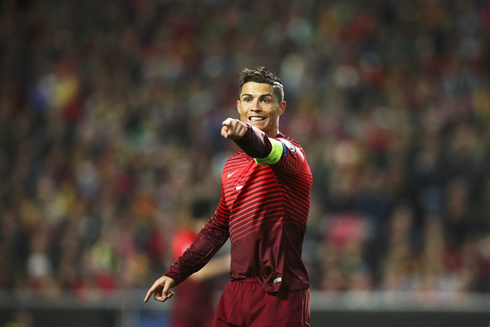 Portugal are now top of Group I in these EURO 2016 qualifiers, two points ahead of both Denmark and Albania. 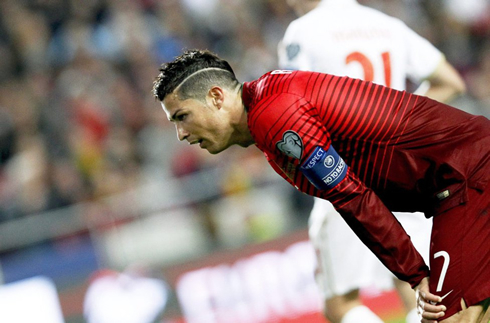 After that upset in the opening round against Albania, everything now seems to be back on track for Portugal and their EURO 2016 qualifying campaign. Fernando Santos' men reached their 3rd win in 4 games at the expense of the Serbian National Team and this time around, the Lusitanos didn't even need their man Cristiano Ronaldo to make the difference. Things would change for a few minutes later in the second half, when a corner-kick for the visitors led to an impressive overhead kick finish by Chelsea's midfielder, Nemanja Matic. The 26-year old benefited from a first header by Petrovic and when he saw the ball coming to the far post, he brilliantly executed a bicycle kick that beat Rui Patrício and equalized the game at the Estádio da Luz. The Serbians' joy didn't last long though, since two minutes later the Portuguese National Team managed to regain the lead. It all started in a good combination between Cristiano Ronaldo and João Moutinho close to the right sideline, which allowed the AS Monaco midfielder to run forward without opposition right until the edge of the box and send in a perfect cross to the far post. Waiting for the ball was Fábio Coentrão, who didn't waste such a good chance to write his name in the scoresheet and got to put Portugal back in the driving seat. Following that Coentrão's goal, there were still close to 30 minutes left to be played, but the truth is that Serbia never really got to threaten equalizing again and Portugal also seemed a bit out of touch in the last third of the pitch. The 2-1 ended up being the final result and Portugal are now on the top of the Group I, with a foot and a half in France's EURO 2016 final tournament. Attackers: Danny, Nani, Cristiano Ronaldo. Cristiano Ronaldo next game will be for the Portuguese National Team against Cape Verde, on March 31 of 2015. You can watch Juventus live stream, Portugal vs Cape Verde, Spain vs Netherlands, Italy vs England, Argentina vs Ecuador, and Switzerland vs USA, all matches provided from our sports live section.